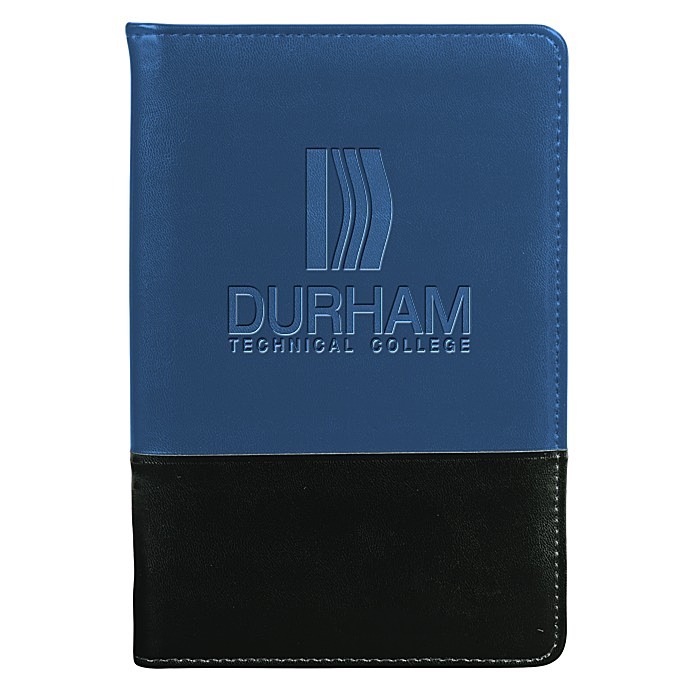 Make your mark with this logo imprinted portfolio! 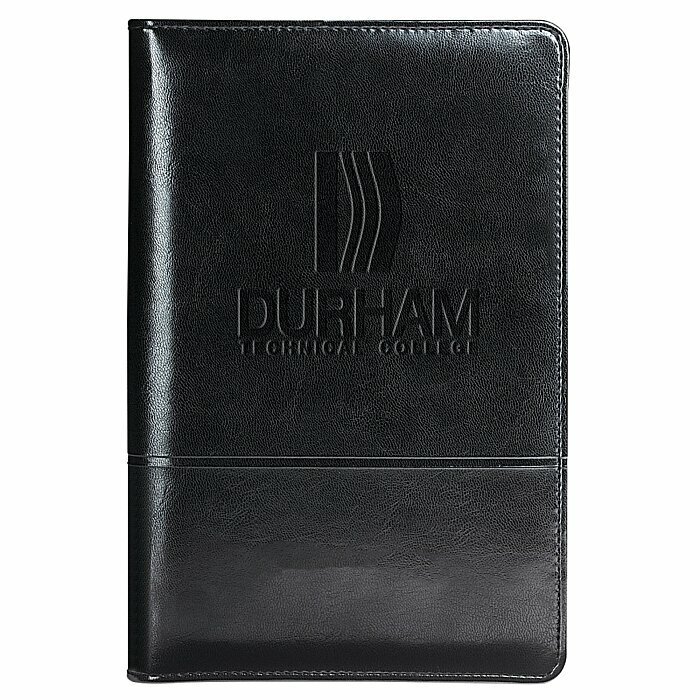 This handsome gift will help organize any executive or associate! Sort out your business essentials in the meticulous interior organizer. Opposite the organization panel is an included 8" x 5" writing pad for thoughts and ideas. Keep any loose ends from slipping out of the portfolio with the wraparound zippered closure. 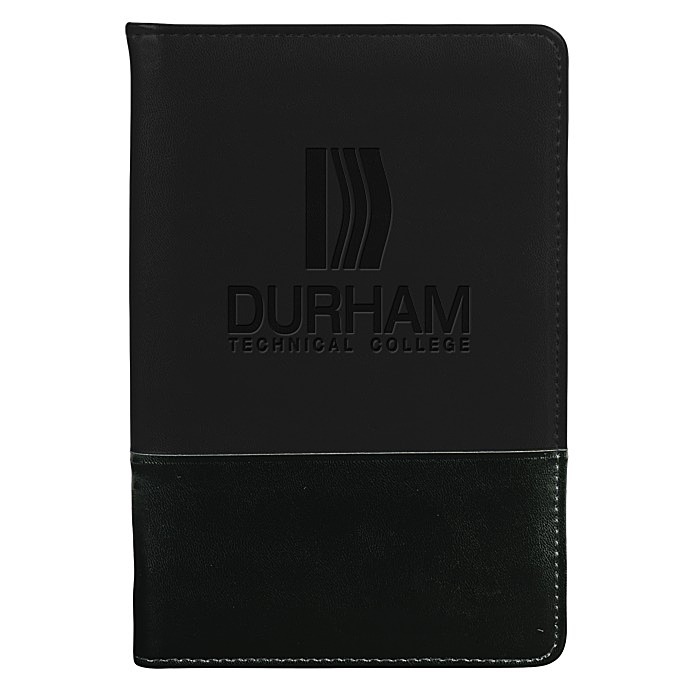 Soft, padded vinyl padfolio is finished off with clean stitching around the perimeter. * Excludes art preparation time, applies only to orders of 600 items or fewer.